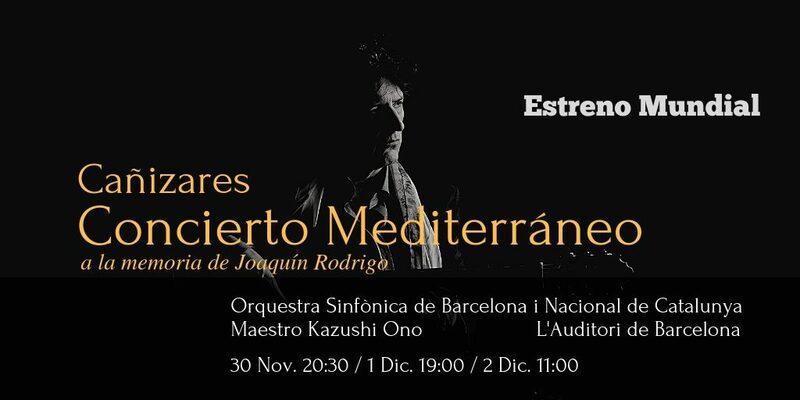 Concierto Mediterráneo to the memory of Joaquín Rodrigo written by Cañizares on commission by the Barcelona Symphony Orchestra will be premiered this Friday at L’Auditori, in Barcelona, under the conduction of Master Kazushi Ono. 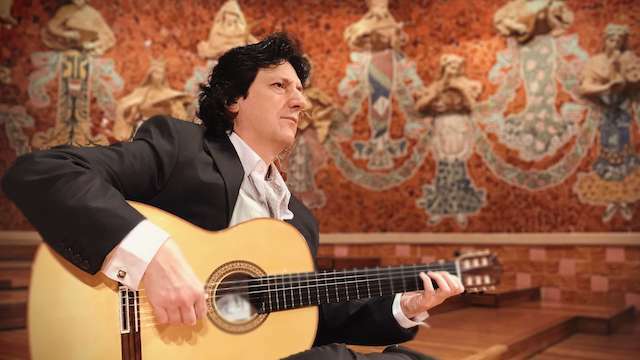 This concert, dedicated to Master Joaquín Rodrigo, author of the immortal Concierto de Aranjuez, is Cañizares’s second concert for guitar and orchestra. In this occasion, Cañizares has also dealt with the orchestration of the work. Ahead of the premiere, Cañizares held a press conference in L’Auditori. He explained the reasons behind the commission and the writing process. 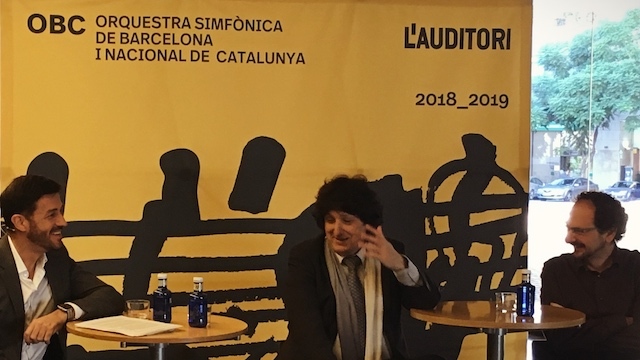 During the press conference, Cañizares also talked about the French premiere of Concierto Al-Andalus, which took place last week. Cañizares talked about his feelings when he was writing this concert. 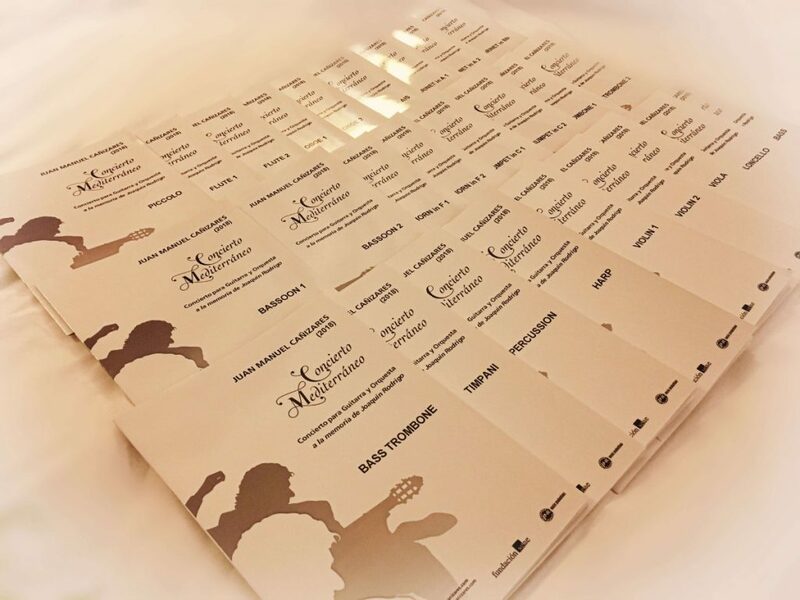 Concierto Mediterráneopara guitarra y orquesta a la memoria de Joaquín Rodrigois my second compositionfor guitar and orchestra, and is entirely dedicated to master Joaquín Rodrigo (Sagunto, 1901 – Madrid, 1999),who opened the world of symphonic music for me, with his immortal Concierto de Aranjuez. 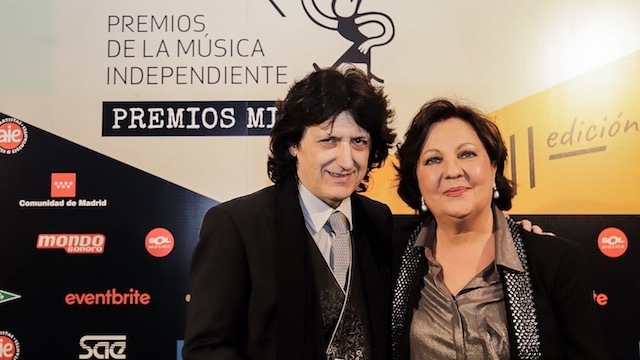 My first encounter withhim took place in Torrelodones in 1991, that is, 27 years ago, during the recording of Concierto de Aranjuez by the inimitable guitar of master Paco de Lucía, with whom I had the honour to work for ten years. In the first half of these concerts, the great Paco played master Rodrigo’s famous work, and in the second half we played some flamenco pieces. In this way, I had the privilege of listening to Concierto de Aranjuez nightly, from the backstage of the most emblematic theatres in the world, from Argentina to Japan. This made me understand the guitar’s endless possibilities, as well as the greatness and universality of master Rodrigo’s work. Twenty years later, my debut with an orchestra, the Berlin Philharmonic Orchestra, conducted by Sir Simon Rattle, was to be again Concierto de Aranjuez . 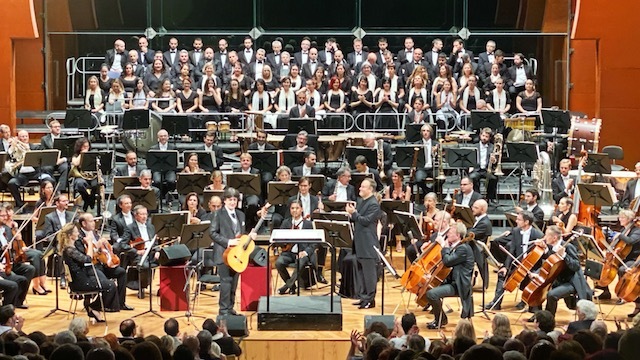 I was invited to its Europakonzert, which took place in the Teatro Real in Madrid, in the orchestra’s first collaboration with a flamenco artist. After this unique experience, I have had the privilege to work with many orchestras all over the world. 2019 will witness the 20thanniversary of the death of master Rodrigo. 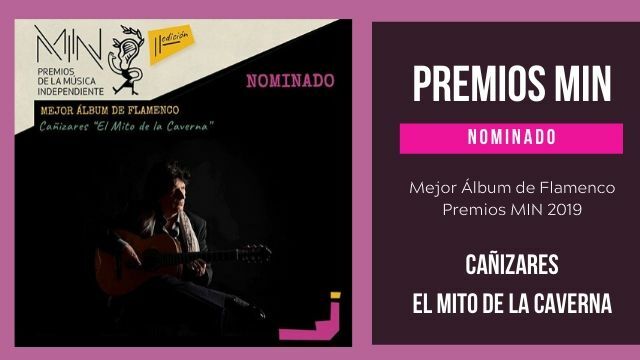 For such a special occasion, I intend to pay homage to him with two heartfelt tributes: on the one hand, a recording of a selection of his guitar pieces, entitled Rodrigo por Cañizares (release to be expected in spring 2019); on the other hand, the already-mentioned Concierto mediterráneo para guitarra y orquesta a la memoria de Joaquín Rodrigo, which will be premiered on 30 November in L’Auditori, Barcelona, with the Barcelona i Nacional de Catalunya Symphonic Orchestra (which commissioned me with writing the work), conducted by master Kazushi Ono. 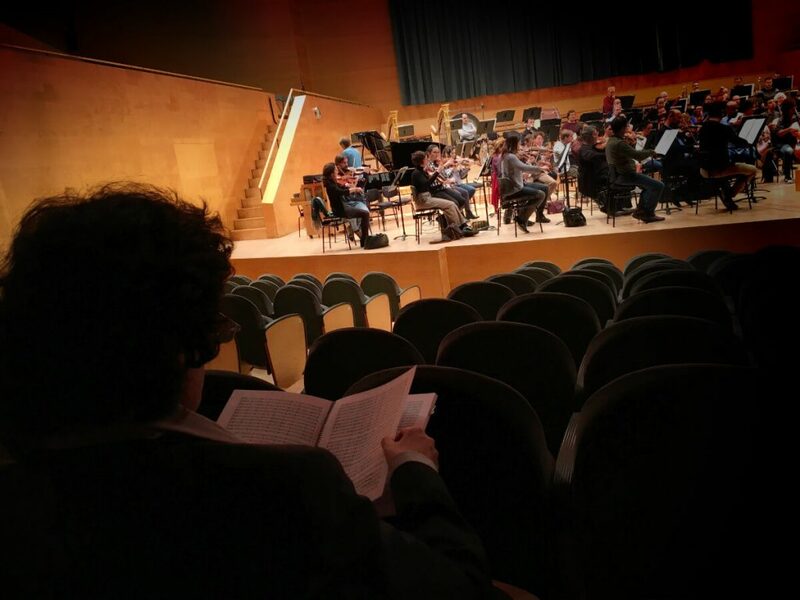 OBC made a first reading of Concierto Mediterráneo yesterday. 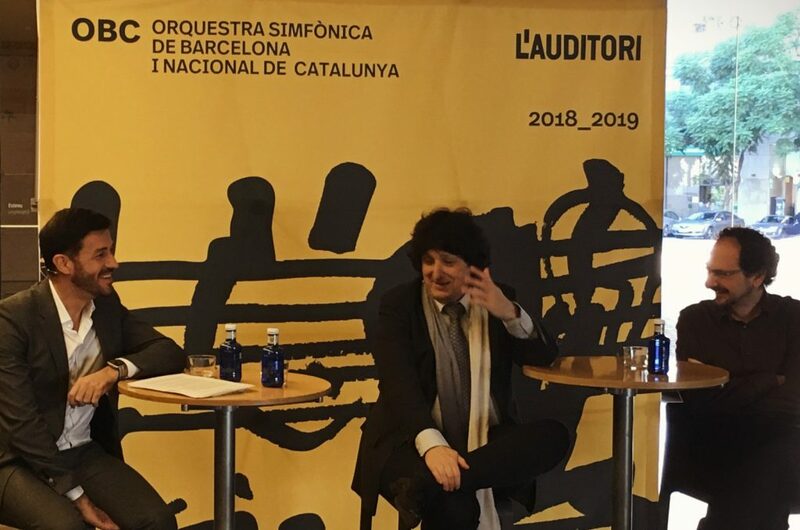 Generally, the soloist does not participate in first reading, but this time Cañizares attended the rehearsal and listened to it from a seat, as the work’s composer. The third concert, which will take place on December 2nd at 11:00 am (Spanish time), will be broadcast live by Catalunya Radio. If you have a fast internet connection, you will be able to listen to it without having to download any apps or having to register.